Environmental standards have taken a front-row seat in discussions around supply chain and manufacturing. Some would argue that environmental impact has a larger place than quality control at this point in the realm of public opinion. Clients and customers can be won and lost simply based on the reputation a company has regarding its production and the environment. How do you go about monitoring such an impactful piece of your business? While it may be simple to oversee your manufacturing, it can be a bit more challenging to monitor your entire supply chain. Here are several options available to monitor environmental management systems throughout your supply chain. EMAS certifications were created by the European Commission. It focuses on improving the interactions a company has with its environment. As opposed to some other standards, it goes above and beyond by focusing on long-term solutions and development of environmental responsibility. The European Commission reports that EMAS certification results in benefits like increased efficiency savings, improved client and customer relationships, and reduced incidents. With aspects like employee involvement, legal compliance, and long-term improvement, EMAS is a viable way to ensure high environmental standards. 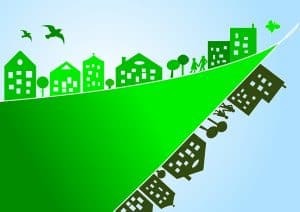 Akin to ISO 9001, the wildly popular standard that evaluates quality management systems (QMS), the ISO 14000 does the same for environmental management systems (EMS). Suppliers holding certifications ISO 14001 or ISO 14006 represent standards of responsible production processes. Suppliers having been audited to meet ISO 14001 tend to reap benefits such as reduction in waste and a positive marketing image. They are also far less likely to be shut down for pollution violations. Many large-scale manufacturers use the ISO 14001 certification as their auditing tool for EMS amongst suppliers. They require the certification as a standard to ensure their suppliers are not in violation of pollution laws and are not contributing to harming the overall health of the environment. Regarding manufacturing, the carbon footprint is essentially the measurement of carbon dioxide (CO2) output during manufacturing, or in some cases during manufacturing and distribution. The carbon footprint verification has become important as we are now aware that CO2 is a major contributor to global warming. A lower carbon footprint throughout the manufacturing process, including supply chain, ensures compliance with greenhouse gas reporting standards and compliance with the Kyoto Protocol. A carbon footprint verification also goes a long way in convincing potential clients or customers of environmental responsibility and accountability. Additionally, there are other certifications that can be used as a piece of an overall EMS monitoring standard. Recyclable content and biodegradability content certifications can add validity to an EMS. However, both standards can be difficult to verify and are subject to public perception. Environmental Management Systems are a key cog in ensuring environmental health while maintaining manufacturing capabilities. Monitoring these systems throughout the supply chain is made possible through standards like EMAS, ISO 14000, and Carbon Footprint verification.